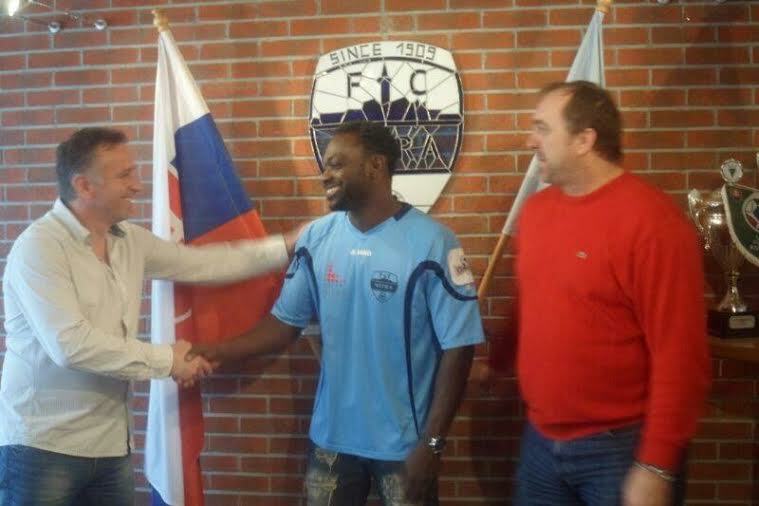 Slovakian club FC Nitra have unveiled Ghana defender John Mensah as their new signing a few months to the 2014 World Cup. The 31-year-old has joined Torgari for the remainder of the season as he looks to gatecrash into the Ghana squad for the World Cup which kicks off in June. Mensah has been without a club since leaving French club Stade Rennes at the end of the last European season. The strong defender took extensive time off while in his native Ghana in order to recover from a nagging back injury which threatened to curtail his professional career. Mensah now gets the big break he has been looking for some time now by joining the Slovakian club who are in great need of some defensive solidity after conceding 47 goals in 20 league matches. The former Sunderland loanee can also boost his chances of making the Black Stars squad for the World Cup if he is able to prove his fitness andform at FC Nitra with 13 games to the end of the domestic season. Mensah remains one of the most revered Ghanaian defenders and will be a welcome addition to the Black Stars squad but only if he passes the litmus test of good health and form.